Another GLTAAC client just completed the TAAF program. 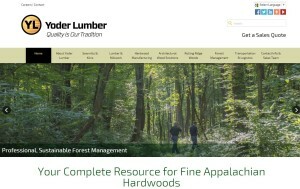 Yoder Lumber Company is a major sawmill and lumber reseller located in northeast Ohio. They used their $75,000 of program co-funding over three years (firms in the program have up to 5 years to use the funding). Here is a brief summary of their experiences and success with the program. 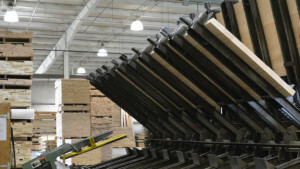 Founded in 1944, Yoder Lumber grew steadily, leading it to begin construction of a new and significantly modernized mill in the fall of 2008, just before the Great Recession hit. In early 2012, the company found itself struggling to serve a stagnant market, positioned in an equally struggling industry. Yoder Lumber entered the TAAF program in late 2011 and GLTAAC delivered their adjustment plan in early 2012. From that time until July 2015, Yoder spent their TAAF program funding in the areas of ERP Implementation, Marketing Planning, Lean Six Sigma (LSS) training, and Customer Relationship Management (CRM) implementation. The company could not be happier with its results. Sales in 2014 were up 51% over 2011 (and employment was up 23%). Growth has continued thru 2015. This success was due to more than just the TAAF program, of course, but GLTAAC’s involvement was a key factor – both the funding and the assessment and planning process. He further elaborates, “We now have more capacity than before and it is due to our improved efficiencies. Through Lean Six Sigma, and some other things, we were able to reduce our hours from 50 to 45 ½ hours/week.” This was done with a morale boost, as employees recognized it as a work/life benefit to have more time with their families. While Yoder was busy improving efficiencies, it also began the marketing initiatives recommended by GLTAAC – development of a marketing plan and implementation of a CRM system. Yoder had never before had a marketing plan and needed help knowing where to begin. GLTAAC furnished some consultant names and helped write the RFP. The firm that Yoder selected in late 2013 performed market research, developed a comprehensive marketing plan and is helping Yoder implement that plan. This summer, the company rolled out its new logos and branding, along with its new website. The website won accolades from Woodworking Network, a lumber industry online journal. Yoder’s new CRM system was also chosen by the same process with GLTAAC support.